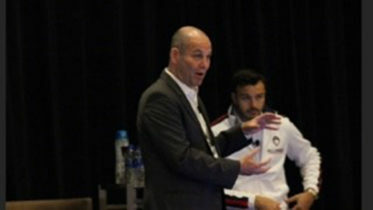 Jeffrey Lenkov (’91) was a featured speaker at the 2018 Global Sports Summit. Jeff’s presentation, “The Rise of Franchise Valuations in a Legalized Gambling World” discussed the contributing factors that are driving the rise of pro sports franchise valuations and speculated on the future impact of sports betting on the industry at large. The Global Sports Summit is a rare and powerful gathering of franchise Owners, CEOs, Presidents, GMs, and other senior level executives from the NFL, NBA, MLB, NHL, MLS, European Football and other professional sports teams. This invitation-only and collaborative event is an opportunity to discuss the most important issues and challenges the sports world faces today. Jeff is a partner and renowned sports agent at the Los Angeles office of Manning & Kass. He leads the firm’s Entertainment Law; Professional Sports Law; and Retail, Restaurant, and Hospitality Teams. Jeff is sought by various news media as their go-to on-air legal analyst. He often serves as a legal advisor to numerous television productions.